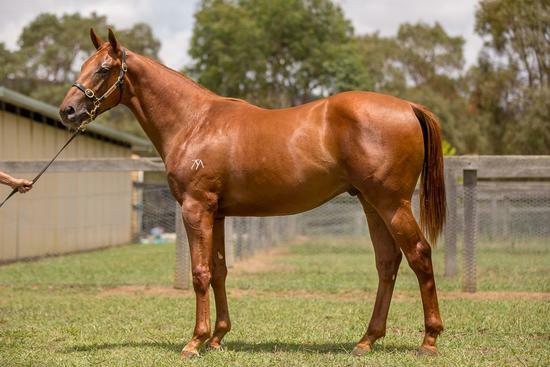 Check out our Sepoy ex Dubai Me Diamonds colt, purchased as Lot 707 at the Inglis 2018 Sydney Classic Yearling Sale. Reconnect (g. by Choisir). 4 wins at 1400m, 1600m to 2017-18 in Aust. Very Sweet Orange (g. by Exceed and Excel). Placed at 3 in 2017-18, 2d HKJC Heung Yee Kuk Cup. OUTLANDISH LAD (Fantastic Light). 12 wins to 1550m, A$636,573, to 2016-17, SAJC DC McKay S., Gr.3, MVRC Abell S., L, MRC CFV Nightingales H., SAJC Capital Transport H., Allan Scott Park Morphettville H.-twice, VRC All Greys H., SAJC Kadina Jewellers H., FMG Engineering H., Cheltenham Last Day H., Winning Post Restaurant H., MRC Betfair H., 2d SAJC Christmas H., L-twice, City of Marion S., L, MVRC Variety Children's Charity H., 3d MVRC Australia S., Gr.2, SAJC Matrice S., L, MVRC Tony Beddison Cup, SAJC Adelaide Casino Cup Day H., 65 Plus Income Protection H., Sportingbet H., Platinum Fine Homes H., 4th VRC Tab.com.au S., Gr.3, SAJC City of Marion S., L.
Dubai Me Diamonds. 3 wins. See above. Grey Nada. Winner at 1350m in 2017-18, Ipswich TC Carlton Mid H.
Baumgartner Miss. Winner at 1600m in 2017-18 in Aust. Miss Razzle Dazzle. 7 wins from 1100m to 1600m, A$95,970, SAJC Barely a Moment H., Distinctive Homes H., Oakbank RC Mistral H., 2d SAJC Distinctive Homes H., Patricks Dunes H., 3d SAJC AV Jennings H., Coffee Club H., Master Builders Group H., Network Media Puzzle Shopalite H.
Mr Mercurial. 6 wins-1 at 2-at 1000m, 1100m, A$154,925, SAJC KPMG Tax H., KPMG Advisory 2YO P., Nautilus Estate H., 2d SAJC Distinctive Homes H., Sam Kekovich at Chairman's Luncheon H., Distinctive Lifestyle H., 3d Oakbank RC Adelaide Bank 2YO H., MVRC Pat Lalor Flying H., SAJC Carbine Club 2YO H., Brimco Cranes H., Chianti Classico H., Scott Group of Companies H.
Quantum Leap. 2 wins. See above. LA FANTASTIQUE (Fantastic Light). 2 wins at 1600m, 2100m, A$115,175, Tasmanian Oaks, L. Producer.